In 1986 jan Hoet, director the the art museum in Gent curated a show with over 50 (mostly male) well known artists throughout the city of Gent in 58 private residencies of mostly collectors with the telling name chambers d’amis that translates as a friends’room, This was a novum because unlike the 1970s famous APTART exhibitions that took place for reasons of censorship and political repression in Soviet time Moscow, Gent had no ideological problems with art. the city filled with Museums and cultural institutions open to contemporary art also had no logistical problems for the many celebrity artists it showed including Bruce Nauman. ,Laurende Wiener, Paul Thek , Mario Merz, Dan Grsham and many more. 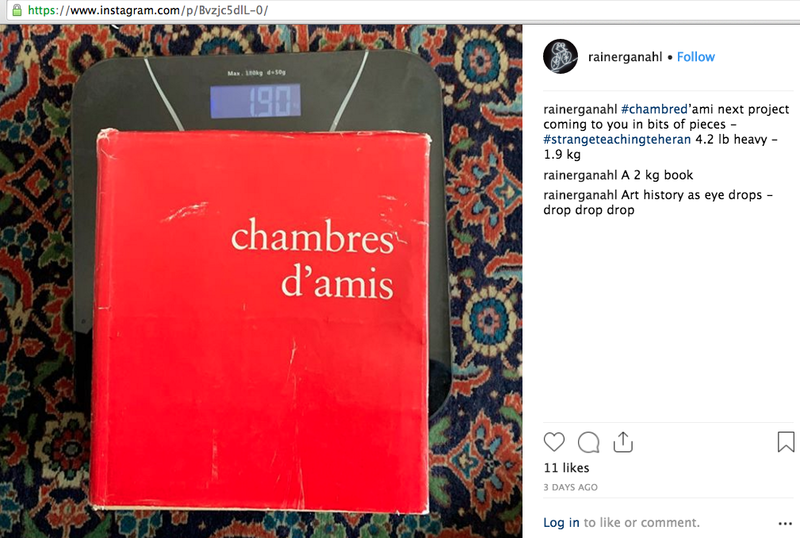 This chambres d’amis concept speaks of friendship and thus will also be our artistic goal - to connect with local people, independent of art related or not. .The task of everybody participating will consist in ot only making a new work during our two weeks stay but also to find a host to exhibit this work.. -- hence our time will be spent visiting local people"s apartment and the art in it. 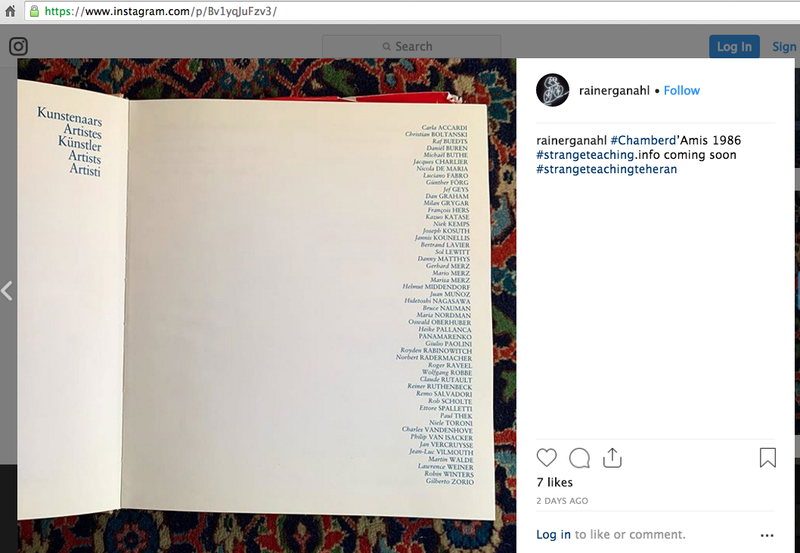 Artists: Carla Accardi, Christian Boltanski, Raf Buedts, Daniel Buren, Michael Buthe, Jacques Charlier, Nicola de Maria, Luciano Fabro, Günther Förg, Jef Geys, Dan Graham, Milan Grygar, François Hers, Kazuo Katase, Niek Kemps, Joseph Kosuth, Jannis Kounellis, Bertrand Lavier, Sol Lewitt, Danny Matthys, Gerhard Merz, Mario Merz, Marisa Merz, Helmut Middendorf, Juan Muñoz, Hidetoshi Nagasawa, Bruce Nauman, Maria Nordman, Oswald Oberhuber, Heike Pallanca, Panamarenko, Giulio Paolini, Royden Rabinowitch, Norbert Radermacher, Roger Raveel, Wolfgang Robbe, Claude Rutault, Reiner Ruthenbeck, Remo Salvadori, Rob Scholte, Ettore Spalletti, Paul Thek, Niele Toroni, Charles Vandenhove, Philip Van Isacker, Jan Vercruysse, Jean-Luc Vilmouth, Martin Walde, Lawrence Weiner, Robin Winters, Gilberto Zorio.